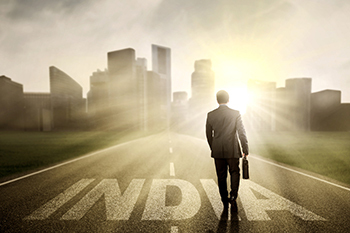 How can NRIs invest in Indian Stock Market through Portfolio Investment Scheme (PIS)? NRIs can acquire shares of Indian companies through the stock exchanges in India. PIS account is basically required by regulator to monitor investment limit by NRI’s in stock market. Non-Resident Indians (NRIs), and Persons of Indian Origin (PIOs) are allowed to invest in the secondary capital markets in India through the Portfolio Investment Scheme (PIS). Under this scheme, NRIs can acquire shares of Indian companies through the stock exchanges in India. PIS account is basically required by regulator to monitor investment limit by NRI’s in stock market. As per the revised guidelines from RBI, PIS is not required for NRO (Non-Resident Ordinary) account and investments under this will be deemed to be domestic (at par with the investment made by residents). PIS designated banks offer a facility to transfer fund from linked saving account to PIS account, however the process may vary from bank to bank. All documents should be self-attested by client and verified with original by Relationship manager. * If NRI is not present in India. Considering the infeasibility of carrying out ‘In-person’ verification of the non-resident clients for non-face to face customer, attestation of KYC documents by Notary Public, Court, Magistrate, Judge, Local Banker, Indian Embassy/ Consulate General in the country where the client resides may be permitted.